Robin over at StorageMojo waded thought Google's "Failure Trends in a Large Disk Population," a document that details the search engine's first hand experience with hard drive failure rates by way of polling 100,000 of their own drives. •First of all, Mean Time Between Failure rates mean nothing. •Secondly, SMART hardware monitoring missed 36% of all uh-ohs. 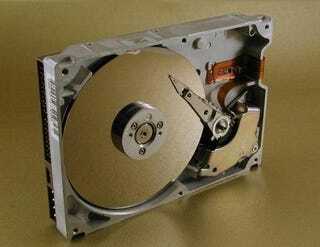 •Third, overworked drives fail similarly to standard drives after the first year. •Fourth, Hard drive age means less than you think. Google even has insight on which brand that had the longest life. But decided to leave it out because that data "wasn't useful in understanding the effects of disk age on failure rates." That's the main jist of it. Some of this you probably knew, some of this may be myth-busting, but regardless, this is definitely important information that needed to get out to the general public. It's nice to see an impartial group that has the resources to perform a large-scale study like this shed light on this topic.